Dust off those clubs—it’s high time for a round of golf in the Pacific Northwest. Aside from a few spring showers here and there, the sun is peeking out and the greens of Washington state’s capital region beckon. Whether you’re a seasoned pro looking to perfect your swing or a novice in need of some quality time on the putting green, Thurston County has it covered. But don’t take our word for it, let’s hear from local golfer Benjamin Talbot, PGA Assistant Pro at Tumwater Valley Golf Club. Ben: I am currently leading instruction with the flourishing First Tee program at Tumwater Valley which provides golf instruction to more than 400 youth per year. I also help facilitate the Valley Golf Academy, host a PGA Junior Team, give individual lessons and support the daily operations of the course. Golf is my passion and I enjoy seeing others get involved and fall in love with the game. It has so many quality benefits and life-long skills that help shape lives. Q. 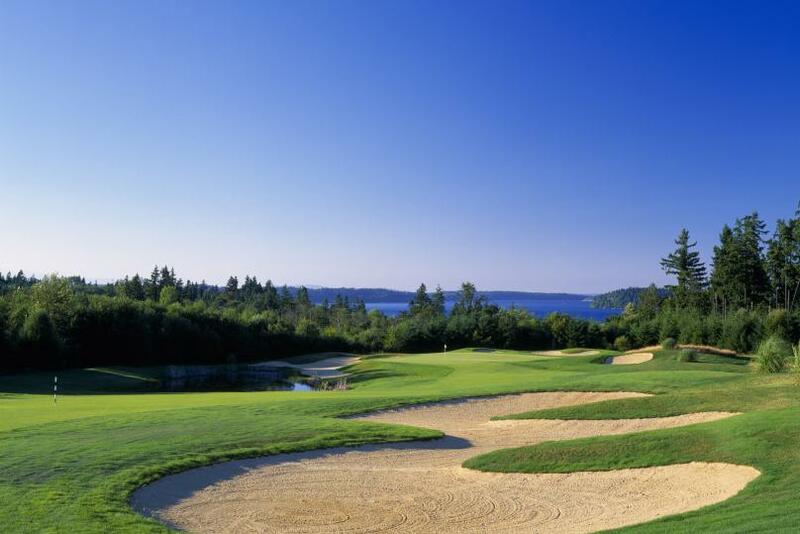 When it comes to golf in Thurston County, what are the best courses for beginners? Ben: Tumwater Valley is a great facility for beginners to advanced players. We have a 10-acre practice facility complete with grass tees, a nice practice green, side bunker and enormous putting green to cover all aspects of the game. The course boasts seven different sets of tees that challenge all ages and ability levels including two sets of modified PGA Family Tees. Q. And which courses would be more challenging for the seasoned golf pro? Ben: Hawks Prairie offers two distinctly different 18-hole courses. It will test the best golfers. Q. Are there certain courses that are best played at specific times of year? Ben: Golf enthusiasts are very fortunate as Thurston County is a destination for golf. We have several courses in the area that all have unique characteristics. Capitol City is known for its playability in the winter (touted as Western Washington’s driest course). Airport Golf Center is a fun nine-hole course to play in the warmer months. Plan a golf weekend and enjoy dinner and a round of local brews following a day on the course. With more than 2,700 hotel rooms throughout Thurston County there are several options ranging from downtown digs to traveler-friendly rooms. Find details on where to drink, dine and stay at experienceolympia.com or connect on Facebook, Twitter (@Experience_Oly) and Instagram (@ExperienceOly). Begin the festivities early with this long-running community tradition featuring live music, fireworks and all around old fashioned fun. Booths and family activities begin at 4 p.m. with live music running from 5- 10 p.m. before the big fireworks display begins at 10 p.m. Come early and experience all that Lacey Days has to offer. For more information visit www.laceydays.org. 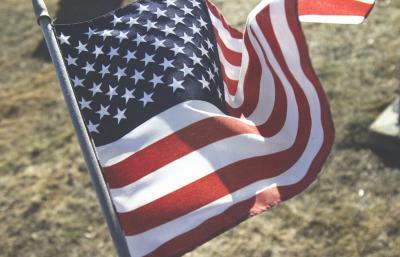 Celebrate patriotism in this historic town at Tumwater’s Fourth of July Parade. The fun begins at 11 a.m. featuring all the small town charm it’s been known for, now in its 25th year. For more information visit www.ci.tumwater.wa.us and click on events. 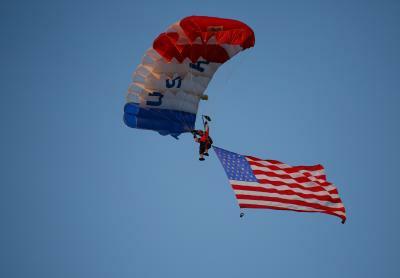 Spend the evening reveling in patriotic festivities before the big fireworks show. At 6 p.m. Tumwater Valley Golf Course hosts food, music and family fun during the Artesian Family Festival with a fireworks show at 10:15 p.m. For more information visit www.ci.tumwater.wa.us and click on events. Capital Lakefair began as a Community Celebration in 1957 and continues today as the area’s major community festival. 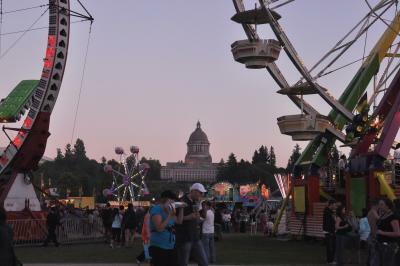 The five-day celebration includes offerings for all ages and interests including rides and games on the shores of Capitol Lake, as well as food vendors and local booths from throughout the community. There is a parade on the fourth day and a large fireworks display that draws crowds to the lawns of the Washington State Capitol as well as rooftops of downtown buildings. For more information visit www.lakefair.org .